Jean Miller has 17 years experience as a psychotherapist in private practice with couples and individuals. She also trains therapists on a number of courses, with particular focus on couples work. She founds her work in humanistic and integrative approaches to the field. Jean has a growing practice as a supervisor of counsellors and psychotherapists, as well as psychosexual and relationship therapists. 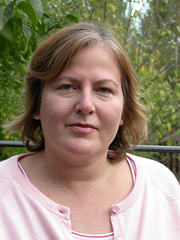 She is the nominated psychosexual and relationship supervisor for Ealing Abbey Counselling Service, and she is Associate Director of the London Diploma in Psychosexual & Relationship Therapy (LDPRT). She also trains therapists for NAOS and is an essay marker for counselling courses run by different organisations. She has a Diploma in supervision and consultancy, and is also accredited as a supervisor.